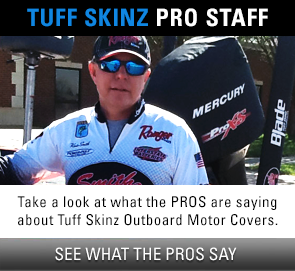 Tuff Skinz Vented Outboard Motor Covers are custom-fitted for each model and manufacturer and designed specifically to stay on your motor even when running! 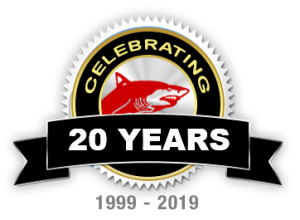 We have been in business for 20 years and our covers are the original vented outboard motor cover. The vents allow proper airflow to your engine while it is running, and protection while trailering your boat. 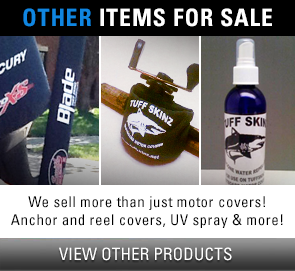 Our covers will protect your motor from UV rays, flying debris and rocks, lures, limbs, birds, salt water, and the elements, while keeping your motor looking new. We also sell a UV protectant spray to extend the life of your cover for years of durability. 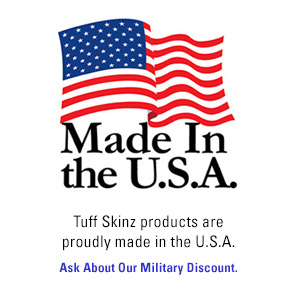 A Tuff Skinz cover will help increase the sale value of your boat as well. We have some customers who have used our covers for 8+ years, never removing it, only to find that the motor looks it rolled off the showroom floor — no worn marks — ultimate protection. The ONLY cover made in the USA. Order Yours Today! 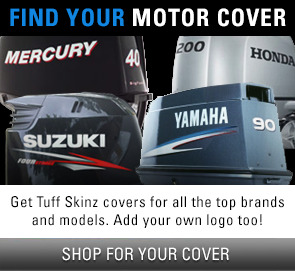 Watch our informative video about the Tuff Skinz Outboard Motor Cover.